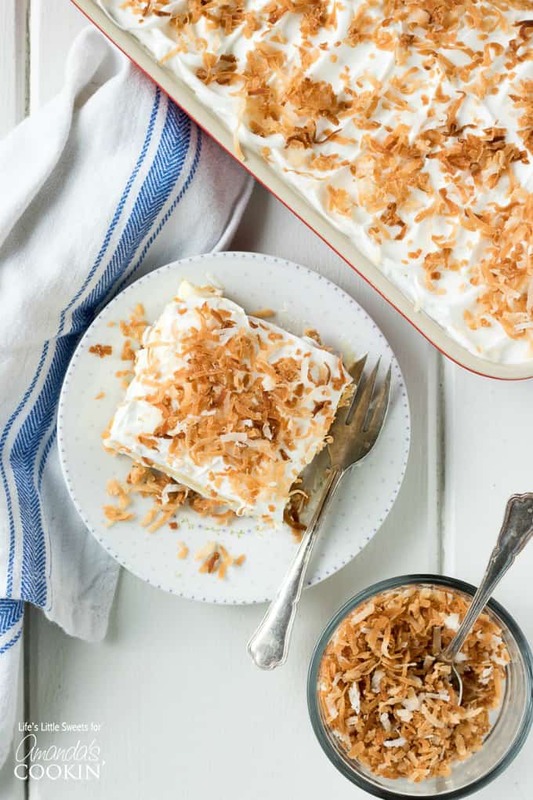 Coconut Cream Lush: an easy, light, and creamy one pan dessert recipe! 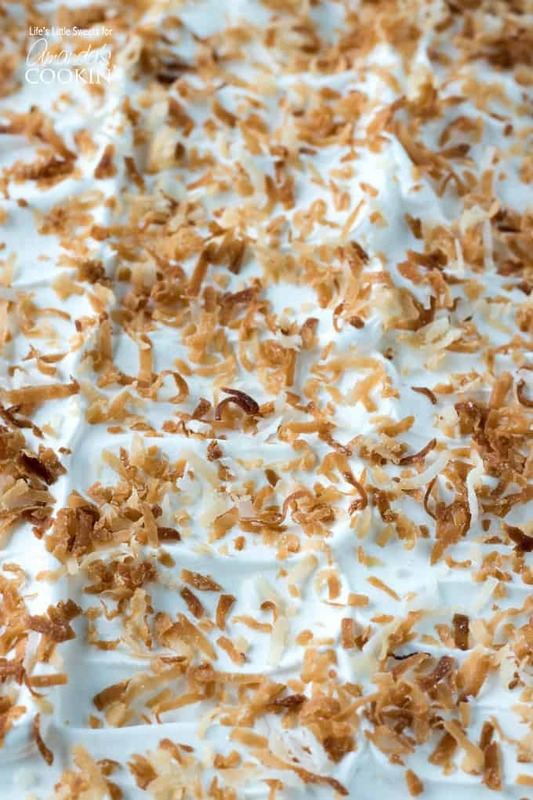 This Coconut Cream Lush recipe is light, creamy and filled with coconut deliciousness. 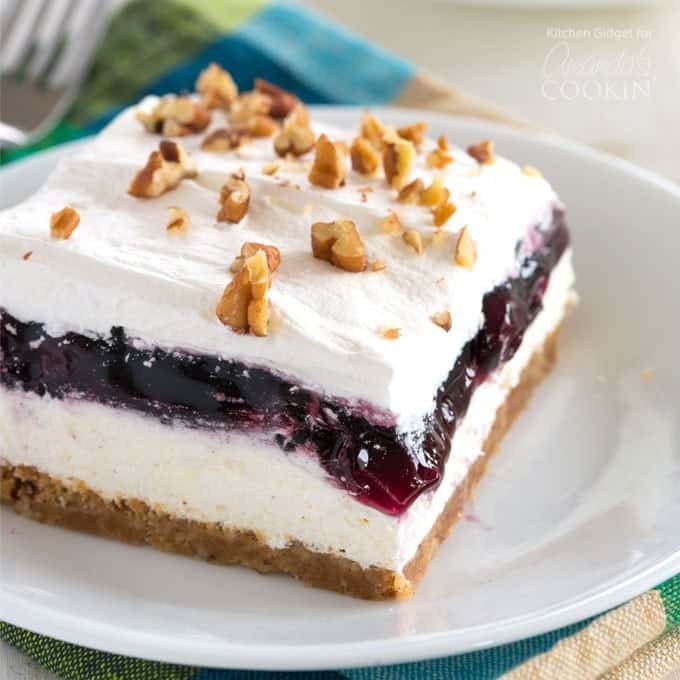 It’s a one-pan dessert that feeds a crowd and even has a no-bake crust option for those hot weather days. 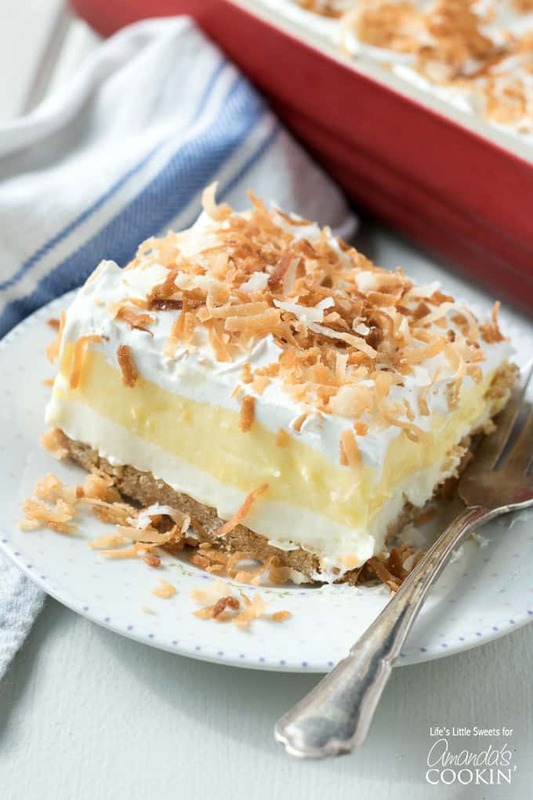 Just like this Pineapple Dream Dessert, this coconut cream lush recipe will be your new go-to dessert for any gathering! Hello Everyone, boy do I have a treat for you! This Coconut Cream Lush. Did you see my previous Lemon Lush recipe? I love that these “lush” recipes are not too sweet, so you can really enjoy it without being overwhelmed by sweetness! It’s the perfect, cool, one-pan dessert for picnics, and any kind of warm weather gathering, like say, Mother’s Day, Memorial Day, 4th of July or Labor Day. 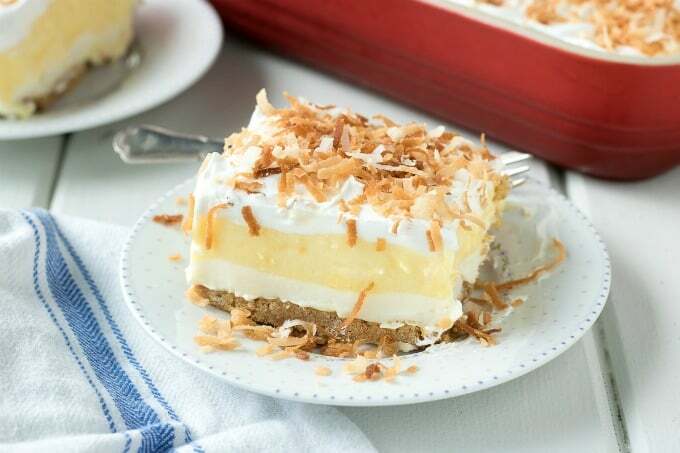 I just love the simplicity of this dessert and what’s different about this Coconut Cream Lush versus my previous Lemon Lush is that I give an option to make it “no-bake” using a graham cracker crust. Yay for keeping those hot weather days cool! Of course, I also include the traditional baked crust option too. RELATED: Don’t miss our Banana Cream Lush with Bananas Fosters Sauce! If you love simple but easy desserts that’ll rock your world- you’ll go crazy over this one! You can freeze the Coconut Cream Lush overnight (at least 6 hours) to get more defined slices. Make sure you use a sharp knife to cut down into the bottom crust first before removing with the spatula. It will defrost fairly quickly. Do not freeze if you substituted homemade whipped cream for the whipped topping because I can not guarantee the results. 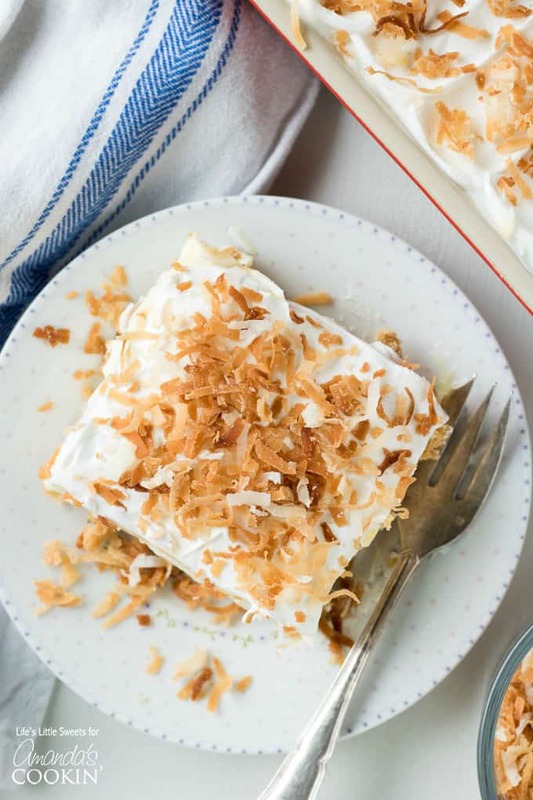 Those toasted coconut flakes add a nice crunchy texture to this smooth as silk dessert. I suggest using an offset spatula for spreading the layers and make sure it’s clean before starting a new layer. 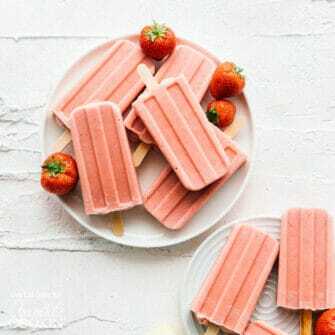 After refrigerating, for serving to show more defined layers, you can take a butter knife or offset spatula and “wipe” along the sides and the layers will show nicely. 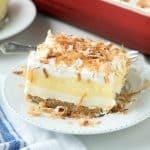 I know you will enjoy this Coconut Cream Lush, it’s so light and delicious you will want more than one slice! This Coconut Cream Lush recipe is light, creamy and filled with coconut deliciousness. It's a one-pan dessert that feeds a crowd and even has a no-bake crust option for those hot weather days. Graham Cracker Crust (for no-bake crust option): In a medium-large bowl, mix melted and cooled unsalted butter with processed graham crackers. Press into the bottom of a 9 x 13 pan. Cover and chill until the next layer is ready. Bottom Pecan Crust Layer (for baked crust option): Preheat oven to 350 degrees F. In a large mixing bowl, combine flour, melted and cooled butter, finely ground pecans and 1/4 cup sugar. Press into the bottom of a 9 x 13 inch baking pan. Bake 20-25 minutes (25 mins works best for me) until golden brown. Allow to cool completely before adding any layers. Cream Cheese Layer: Using a hand electric mixer, combine cream cheese, 1 cup sugar, 1-2 tablespoons fresh squeezed lemon juice (2 tablespoons works best for me). Mixture should be even and smooth. Spread evenly on top of the baked and cooled bottom pecan crust or no bake graham cracker crust. Coconut Cream Pudding Layer: In a large mixing bowl, whisk milk and instant coconut cream pudding mix until set. It may take 4-5 minutes to thicken. Spread evenly on top of the cream cheese mixture. 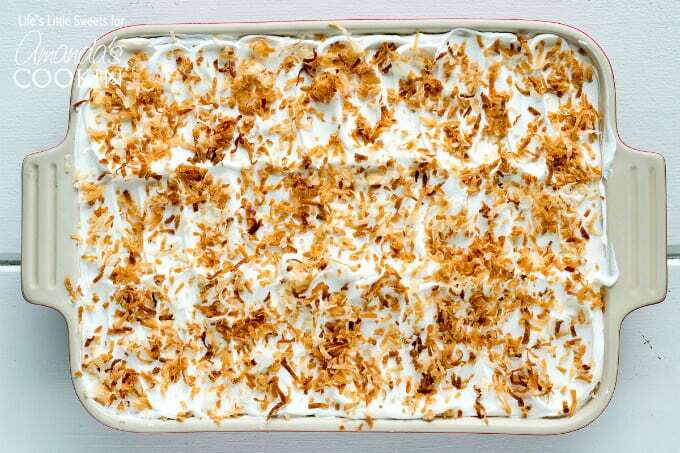 Whipped Topping & Toasted Coconut Garnish Layer: Spread thawed whipped topping on top of the pudding layer. Toast the unsweetened coconut flakes on a foil-lined baking sheet in the toaster oven or oven (350 degrees F) for 5 minutes; you should toss the flakes halfway to ensure even toasting. Be careful not to burn the coconut flakes and toast them until they are golden light brown. When the coconut flakes are cool, sprinkle them all over the Coconut Cream Lush and reserve more for sprinkling on slices. Optionally, you can freeze the Coconut Cream Lush overnight for more defined slices. Do not freeze if you substitute homemade whipped cream because it might not hold up like frozen whipped topping like Cool Whip. Enjoy! I suggest using an offset spatula for spreading the layers and make sure it's clean before starting a new layer. After refrigerating, for serving to show more defined layers, you can just take a butter knife and "wipe" along the sides and the layers will show nicely. You can freeze the Coconut Cream Lush overnight (at least 6 hours) to get more defined slices. Make sure you use a sharp knife to cut down into the bottom crust first before removing with the spatula. It will defrost fairly quickly. This post was originally published on this blog on May 1, 2017. Hello. I’m just wondering which crust you prefer? I’m trying to decide which to make. Thanks! They are both good! it really depends on whether you want to turn on your oven or not. And if you have any guests with a nut allergy. 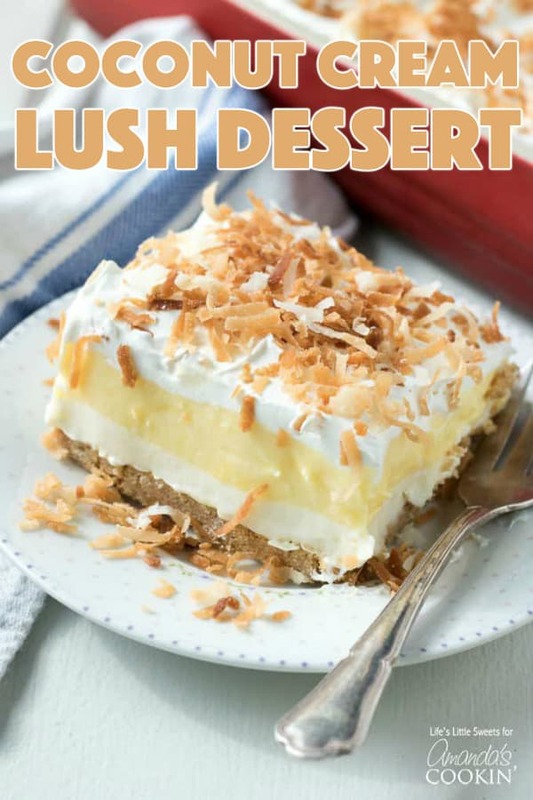 Any dessert with the word lush in the title is bound to be a hit in my book! :) This one looks SO stinking good!